Generic CAN layer-2 frames can be sent and received as well. Although originally designed for TwinCAT, the software solution for PC compatible control technology, the FC510x cards can be used for any PC application. The TwinCAT I/O driver and system configuration tools interface to any C-program (DLL), Visual Basic Application (OCX) and application with OPC interface. The FC5151 Mini PCI card brings field-bus functionalities to the industrial PC in a compact contruction. 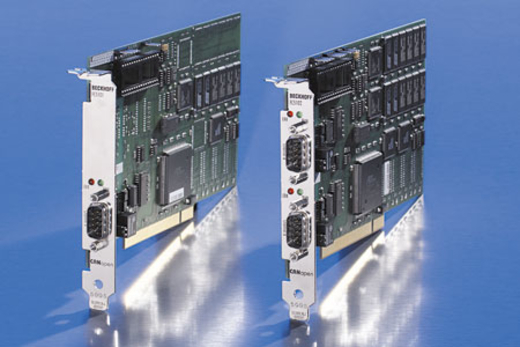 It can only be ordered with a Beckhoff industrial PC with Mini PCI option. The FC5151 is optionally available with 128 KiB Novram.